If you don't already know, Trader Joe's is one of my all time favorite grocery stores. Actually, it's really the only one. Even though the store offers less than half the size of most grocery chain stores, I always find something new to add to my regular grocery list. Tonight was no exception. What is this I see?? Could it be? I haven't tried it yet, being that I just made some the other night for dinner, but I will let you know the verdict as soon as possible. Another reason why Trader Joe's is the best. 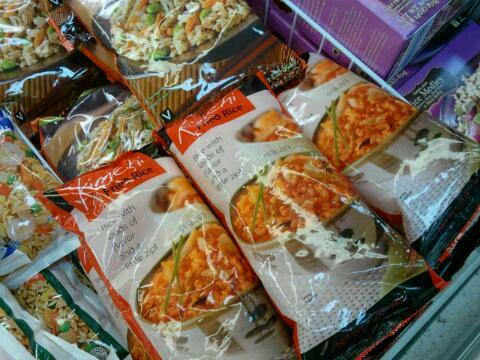 I think it's great that they're starting to integrate Korean food into the "culture" products they offer. A big win in my book. I finally popped open the bag and gave it a taste test. 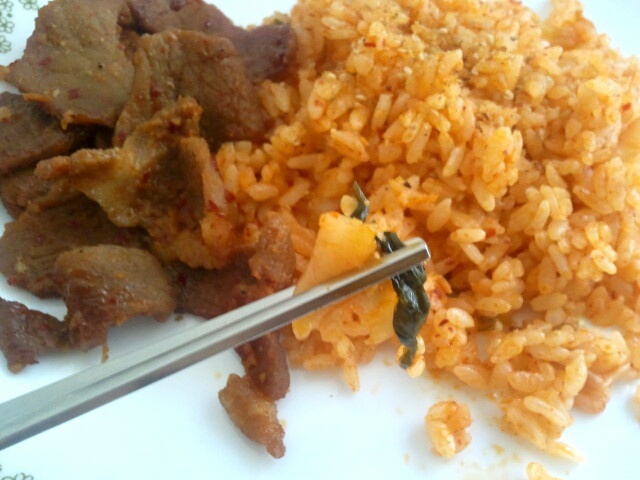 I made this for lunch with some bulgolgi on the side. 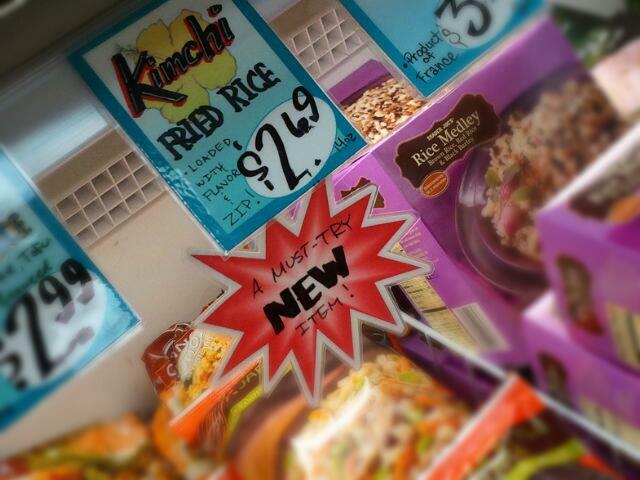 The rice was actually pretty good. I thought it would have a bland taste to it judging my the frozen product, but it was really full of the familiar flavor with that slight kick. 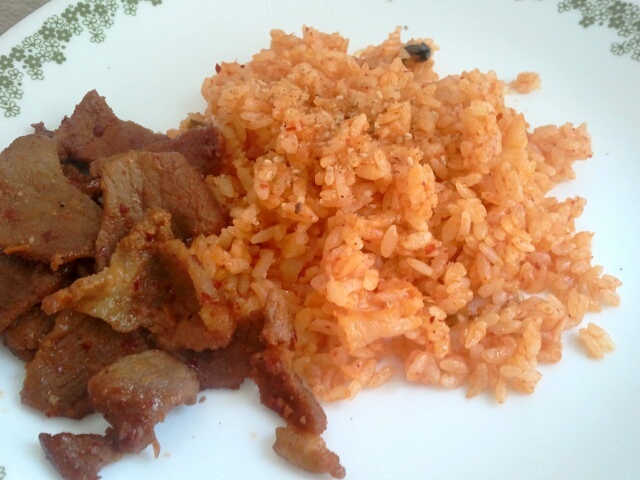 It tastes pretty darn close to the kimchi fried rice I make at home from time to time. This is now always in my freezer as a backup. I like how the ingredients are all natural and with items I can actually understand: rice, kimchi (salted napa cabbage,red pepper powder, sweet rice flour paste, garlic, leek, ginger, salt, shitake mushroom), onion, expeller pressed canola oil, green bell pepper, sugar, salt, naturally brewed soy sauce (water, wheat, soybean, salt), red pepper powder, sesame oil. 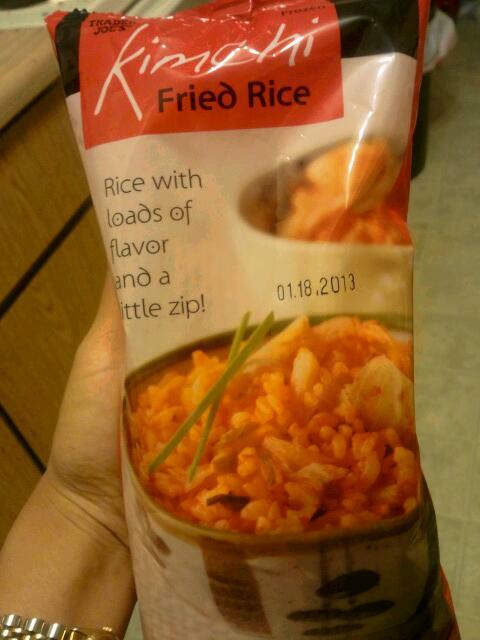 The only thing that it lacks are the actual kimchi chunks that are shown on the picture of the bag. This may be good for some that don't really care for the pieces of cabbage, but for those that do like more of the kimchi taste and texture, make sure you have some of your own at home because there's only like 5 or 6 pieces per serving (which the bag has total of like 2.) Other than that, it's pretty much a win win. Good taste, cheap price, and easy to make. wow, i'll have to check it out!